Falls in the house aren’t just a product of aging. They can occur for a variety of reasons like physical changes due to a health condition, injury, or getting used to a new medication. Regardless of the cause, the fear of falling shouldn’t limit you from moving around your home independently. If you or a loved one is at a heightened risk for falls in the house, you can take some preventive steps to make the home more safely navigable. Bathroom falls can occur while someone is getting in or out of the tub, sitting on and standing up from the toilet, or walking across a wet floor to grab a towel. That said, you can make a few simple additions to the bathroom that will help minimize the risk for falling. The bathroom the most common part of the house for slips and falls. Consider installing grab bars to provide an extra source of stability. For the most secure grip, choose a slip-resistant bar that screws directly into your wall studs. Install them around the tub, toilet, or anywhere else in the bathroom where a little extra support might help prevent a fall. 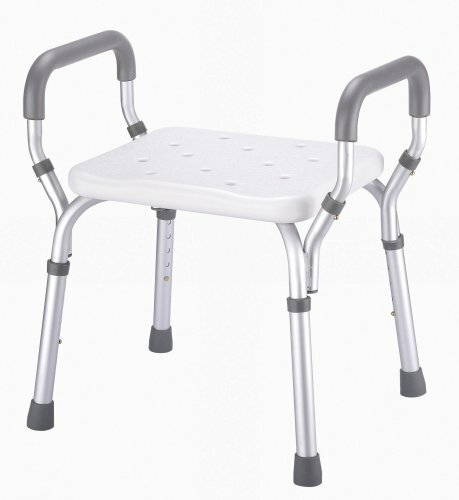 Shower chairs are designed to give stability to those who have difficulty balancing while standing. They also give you a place to rest if it’s difficult to stand for long periods of time, like while showering. The right shower chair will have rubber tips on the legs to provide ample stability if you’re frequently standing and sitting back down. 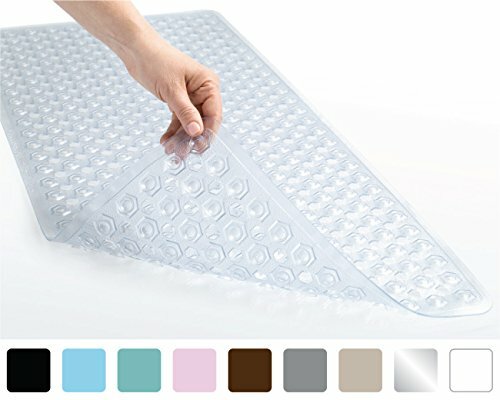 If you prefer to shower standing up, consider getting a nonslip shower mat to improve footing on the wet surface. You can also place nonslip mats in other parts of the bathroom, like next to the tub, where water could make the surface slippery and dangerous. Perhaps the easiest step to reduce the risk of falls in the house is to keep things tidy, especially on the floor. If you have kids or pets in the house, keep an eye on their toys to make sure they aren’t strewn about in places that could lead to falls. Look to clean up boxes, newspapers, and unnecessary cords from highly trafficked areas in the house. It’s especially important to declutter around hallways and staircases, where falls are particularly common. Lighting is an often overlooked contributor to indoor falls. Especially around stairs and narrow hallways, you want to ensure the lighting is adequate and consistent from room to room. But it’s also important to note that brighter isn’t always necessarily better. Instead, focus on creating lighting that is consistent in both brightness and color temperature. Take a look at how smart lightbulbs can improve lighting throughout your home. If your family member or loved one is at risk of falling, consider getting them a medical alert system. Traditionally these devices rely on buttons that call for help, but nowadays there is a number of medical alert devices that will automatically sensor falls and trigger alerts. Should a fall occur despite your preventive efforts, these devices can greatly increase response times, either by you or by an emergency response team alerted to the fall. 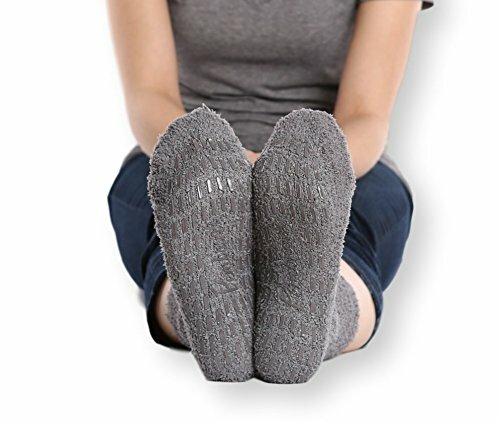 For a more comfortable, albeit slightly less protective alternative, you can buy nonslip socks that have grips on the bottom to improve traction and prevent falls on hard surfaces. If it’s difficult to move around the house without grabbing walls or furniture, a cane can provide just enough support to safely navigate the house. 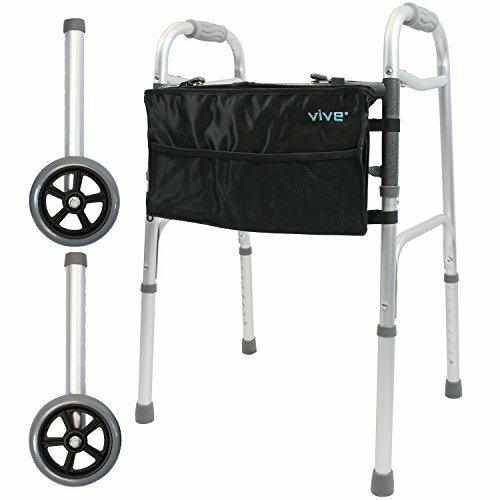 For even more stability, a walker can mitigate much of the fall risk that comes from moving about. That said, the walker isn’t quite as versatile when it comes to navigating tight spaces or narrow hallways. Many aging adults use Tai chi to improve balance, confidence, and muscular strength, all of which can greatly reduce the risk for falls in everyday life. Preparing the house for fall prevention is important, but building that strength and confidence is one of the most important preventive measures. Look for tai chi classes available in your area, but don’t shy away from any exercise that can improve balance and help mitigate the risks of falling in the house. By following the steps above, you can greatly reduce the risk of falls in the house for you or your loved one. A proactive approach to fall prevention in addition to a medical alert system can make living at home much safer for those at risk of falling. What have you done to fall-proof your home? We’d love for you to leave a comment below with your tips and recommendations.